Sean Wotherspoon and Nike are getting ready for Round Two (no pun intended) of the Nike Air Max 1/97 very soon. Following the hit Air Max that was introduced for Air Max Day in 2017, SW and the swoosh are back with another collaboration featuring a different colorway. The upper will feature a gradient blue canvas upper with a few changes in store via SW’s Instagram. 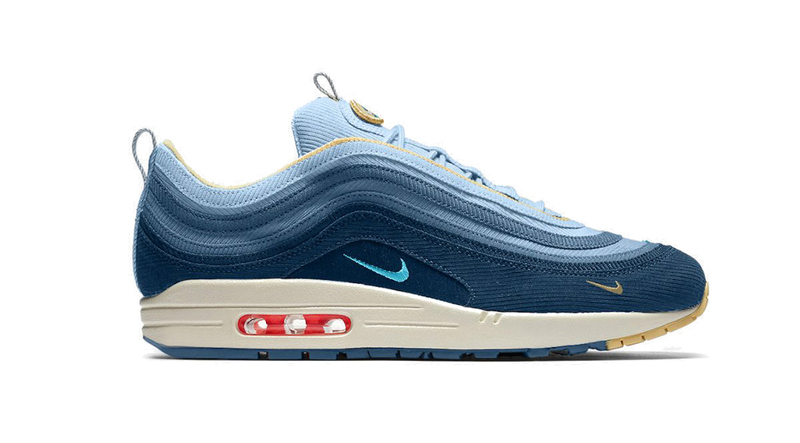 As of now, samples and this rendition are all there is to drool over but stay tuned with Modern Notoriety for more news on the Sean Wotherspoon x Nike Air Max 1/97 2.0.